U.S. borrowers are doing a better job adhering to repayment schedules for loans they have taken out, according to a recent report from TransUnion. The company's Credit Risk Index dropped to 110.10 in the fourth quarter of 2013, down by almost 9 percent from one year earlier. This is the lowest level of risk recorded since 2005. During the recession, the index spiked to near 130. Ezra Becker, vice president of research and consulting at TransUnion's financial services unit, discussed some of the trends behind this decline in a press release announcing the results of the Q4 index. Becker specifically noted that "auto loan and credit card delinquency levels [have been] hovering near all-time lows for the last two years, and with mortgage delinquencies seeing their biggest drop in 2013 since the housing bubble, a decline in go-forward consumer credit risk would be expected." The company also found that consumers with lower credit ratings are opening new accounts in smaller numbers and maintaining their credit relationships better overall. Becker noted that the perception of lower risk could lead to a loosening of lending practices, which have been tight since delinquencies and defaults began to surge in 2008. 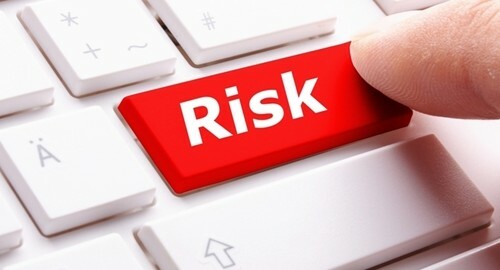 "With credit risk at such low levels, there is a possibility that consumers in higher risk segments may see more credit offers, as some lenders decide they have the room in their profit models to take on greater risk," Becker said. Whether you are an institutional lender working with other organizations or an individual making a personal loan to a friend, family member or other acquaintance, using amortization software to put a workable repayment schedule in place can be a valuable step toward ensuring that loans will be repaid in a timely manner.